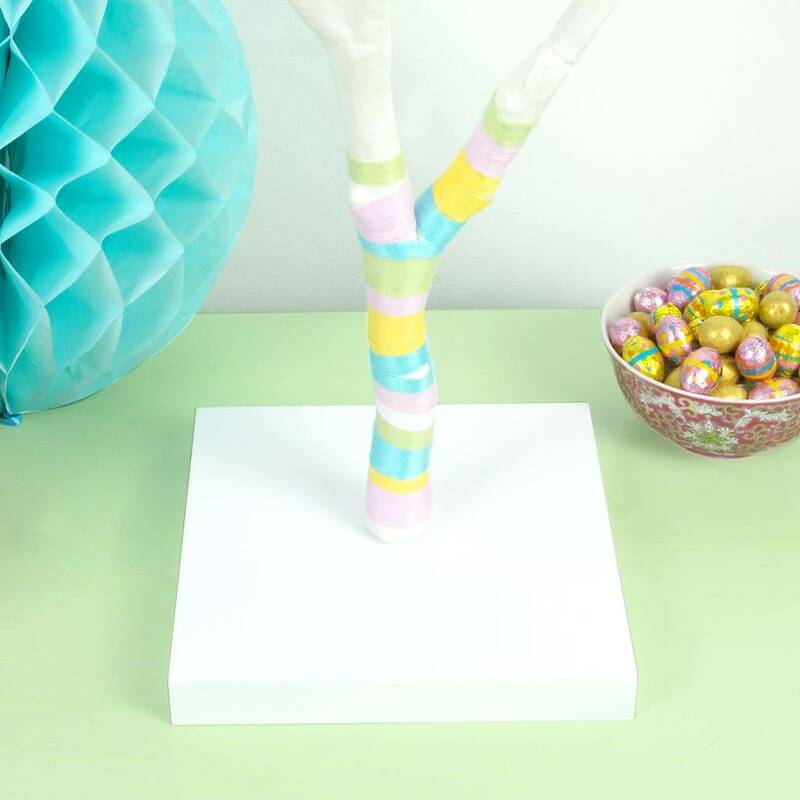 A modern Easter Tree adorned with pastel pom poms to decorate your spring home and welcome the Easter Bunny! The contrasting pastel pom poms make this tree a real conversation piece and is the perfect Easter centre piece for your Easter Sunday dining table. 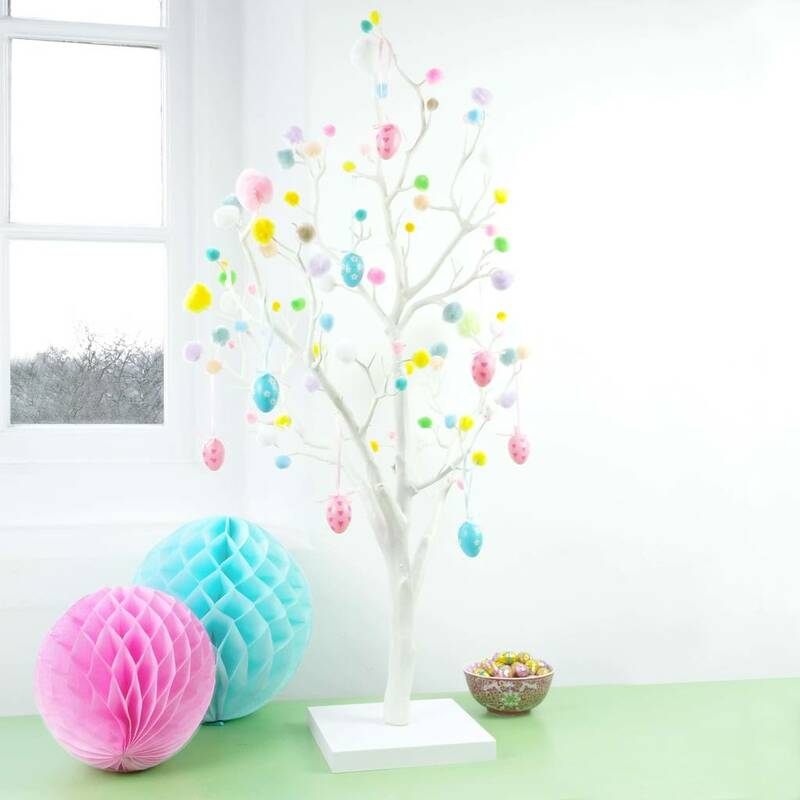 These pom pom trees would look great with pastel coloured eggs hung from it. 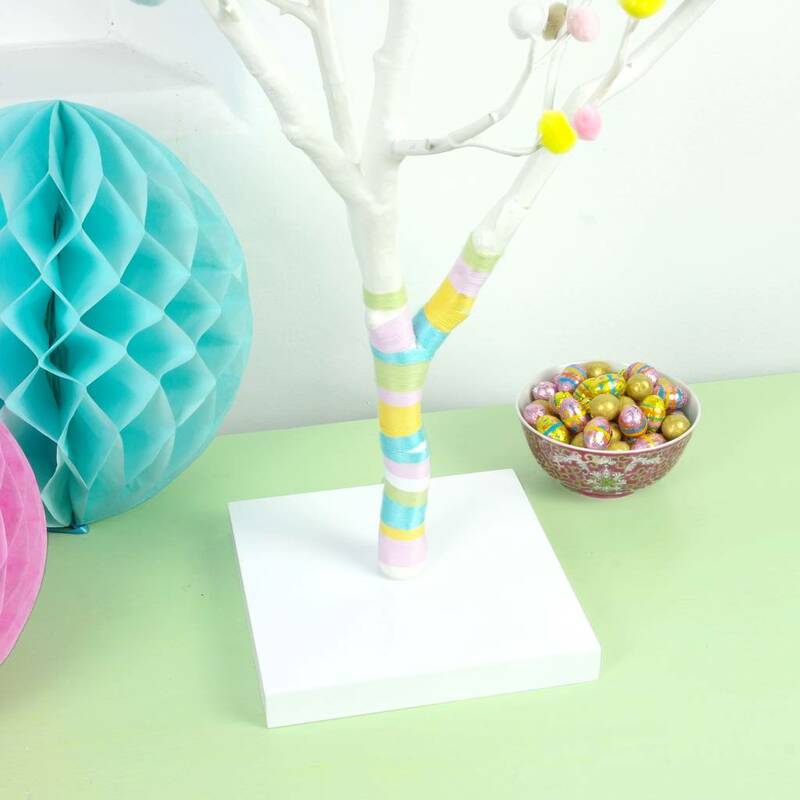 Make a real show of it by decorating with your children's handmade Easter decorations, or add fairy lights to make your pom pom tree twinkle in the evening. At 76cm tall it can fit on a sideboard in your living room or on your dining table in the kitchen. 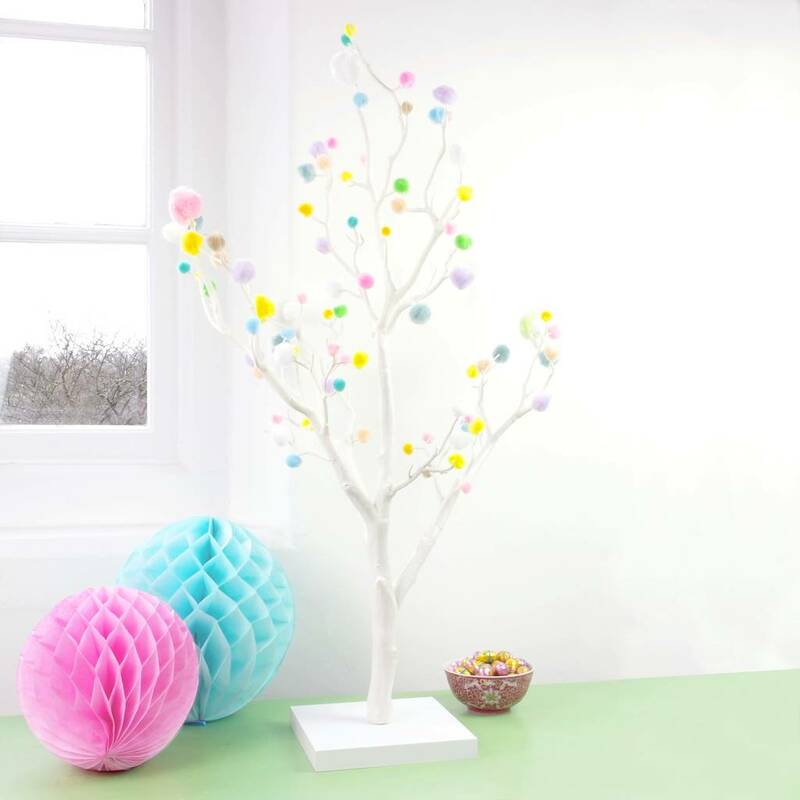 Each tree is hand decorated with a selection of pastel pom poms in yellow, blue, green and pink. Choose to have your tree trunk handwrapped in co-ordinating cotton yarn. 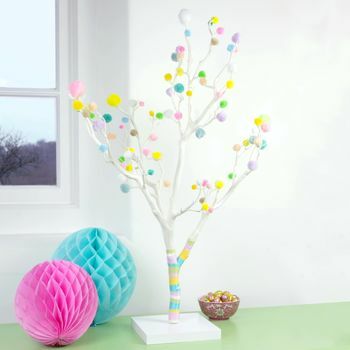 Don't forget a pom pom tree is not just for Easter, so why not display it all year? These pom pom trees would look great with a garlands of flowers in the summer or as a contemporary alternative to your Christmas Tree! If you are feeling very decadent, these trees look great in a group or as a table centre piece.